Many thanks to Karbach Brewing for letting us use their newest Miura boiler as a display during a recent Houston trade show. 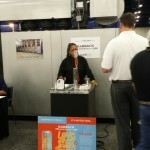 Karbach’s Love Street Summer Seasonal beer was a big hit making for a very crowded booth. We can’t wait for the new brewery to open!